I took it upon myself at the start of summer to do some commissioned work. my intention was to have something to show for the good human games company game to show off. this project was made by me and my colleague Bexio Jackson. the aim was to translate the following script into a flashy, enjoyable format for children. 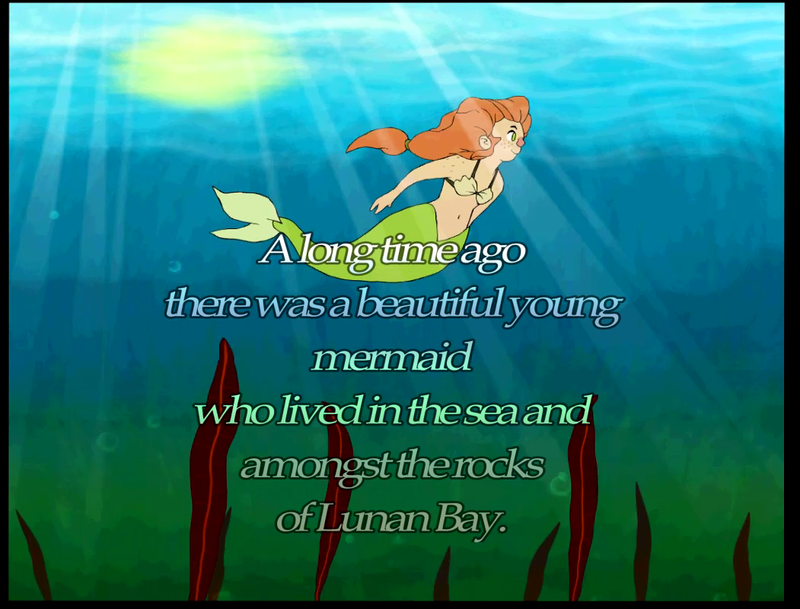 A long time ago there was a beautiful young mermaid who lived in the sea and amongst the rocks of Lunan Bay. The bay was name after the bright moon that rose over the horizon every evening and cast its beams over the water, over the rocks and over yellow sands of a long beach. 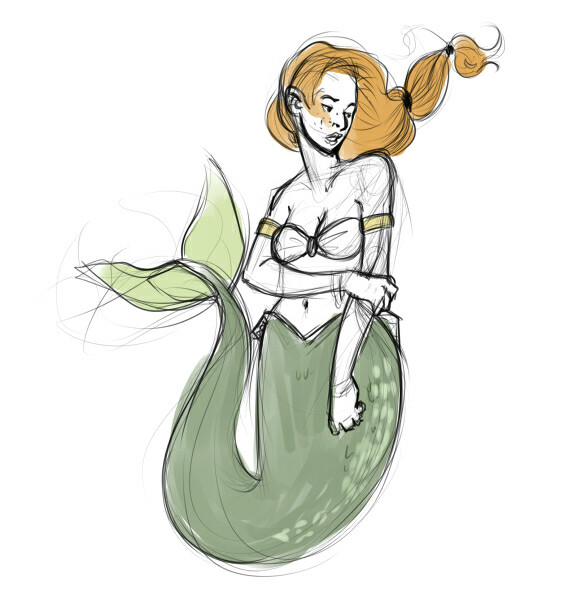 The mermaid was lonely. Sometimes, when the moon was just rising, a ship would pass across the horizon. The mermaid fell in love with a sailor of one of the ships that would enter and leave nearby Montrose harbour on its way to and from distant lands. She would follow the ship until it disappeared over the horizon, and long for the blond hair and blue eyes of her sailor prince. She would wait for the ship arriving; (the dolphins would tell her when it was on its way), and follow it into the harbour, all the time wishing her sailor could join her. One night when the ship was leaving on a high tide a huge storm arose. The ship was driven against the high cliffs of Red Head. It turned over and disappeared below great waves. 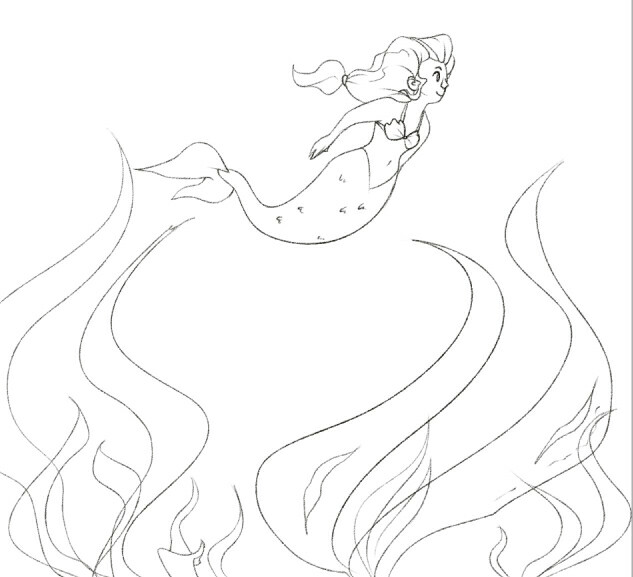 The mermaid dived in and out of the sea but could not find her prince. In the morning the storm had gone, and all was still. 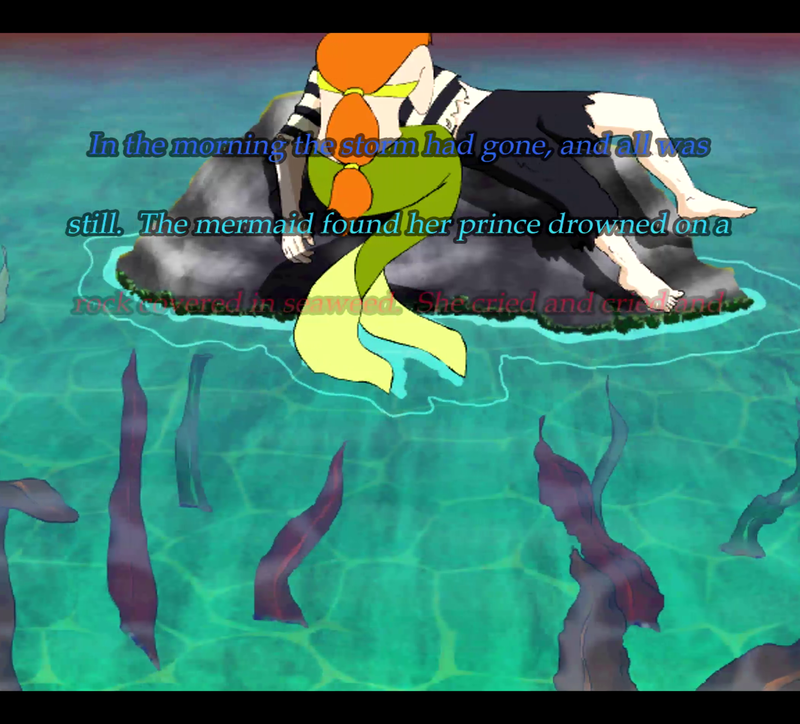 The mermaid found her prince drowned on a rock covered in seaweed. She cried and cried and cried. Her tears ran down her body and down the green skin of her tail, so many, that the colour was washed out and the brown seaweed turned green. And that is why, to this day, mermaids are silver and sea weed is green. the adaption was to have, various still scenes, with minimal animation. like a living, breathing storybook. so a video, with the text fading onscreen at a very slow, relaxed pace. •A long time ago there was a beautiful young mermaid who lived in the sea and amongst the rocks of Lunan Bay. I did a quick placeholder sketch just for my own self reference. and then Bexio did a refined sketch before the final lineart. 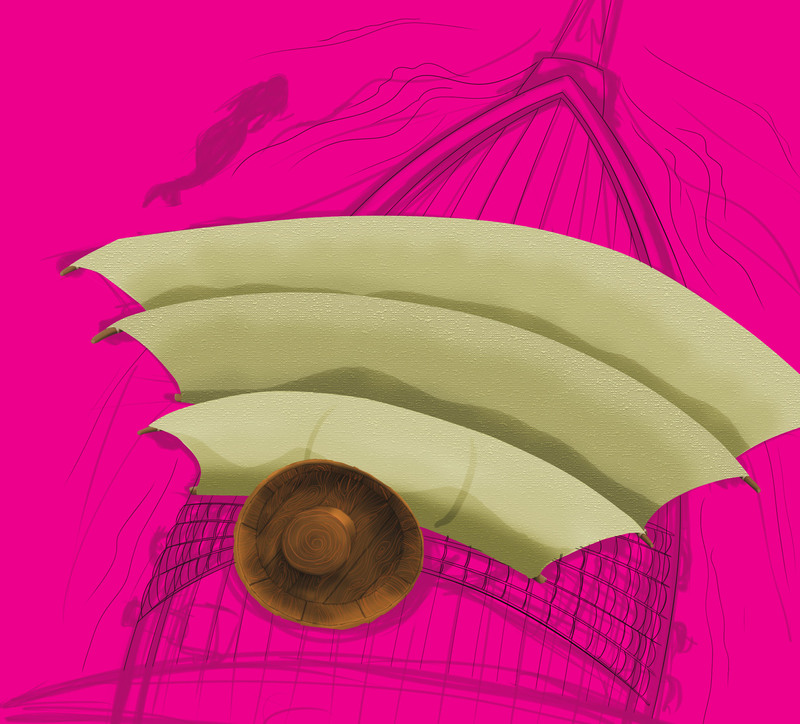 and then I redraw the scene in photoshop as a line-less, more realistic setting. whereas the characters stay as two tone lined drawings. for ease of animation. here are some of her concept sketchs, courtesy of Rebecca. thankfully, this was still early in development. if the characters needed changed after everything had been done then we would have to revise every single frame of animation in every scene :S dodged a bullet there. 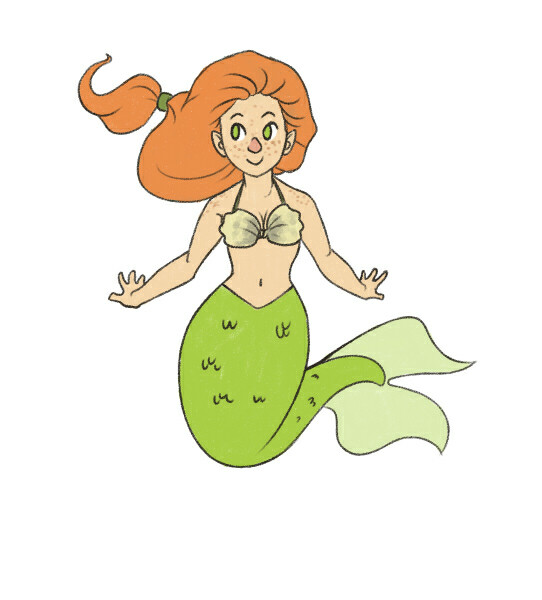 here is the revised mermaid and seaweed. and a fish swimming between the seaweed as requested. as I recall, here is the image showing off various designs. 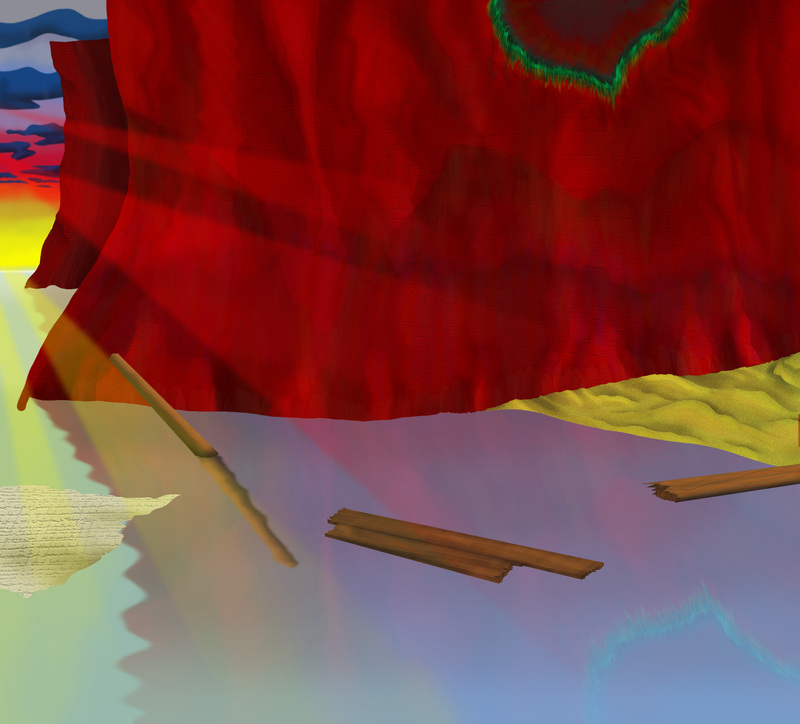 one thing you may notice about the text in the scene, it has a build in colour gradient which represents the scene. the top of the text has shades of white and yellow to reflect the sun shining through the ocean. 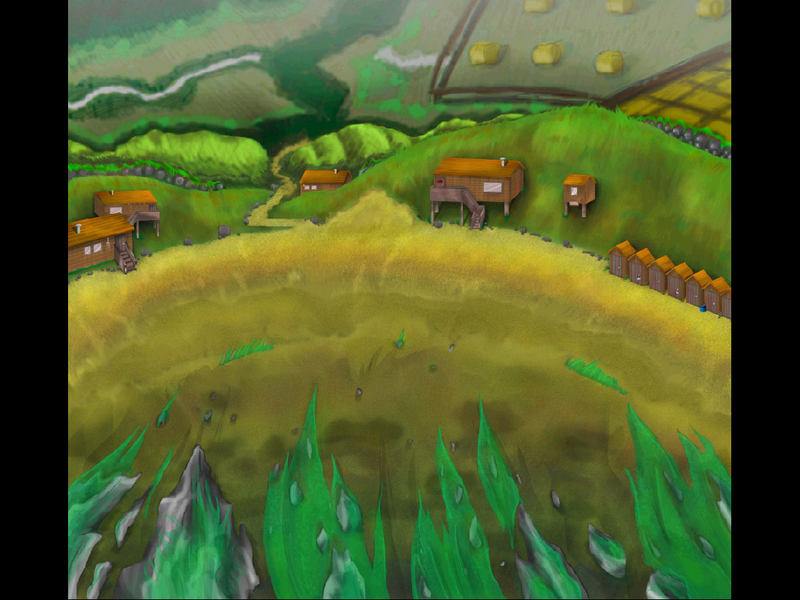 and dark greens and blues toward the bottom to reflect the lower half of the scene. this technique is done for all text in the animation. now onto scene 2! here is the defining text. •The bay was name after the bright moon that rose over the horizon every evening and cast its beams over the water, over the rocks and over yellow sands of a long beach. 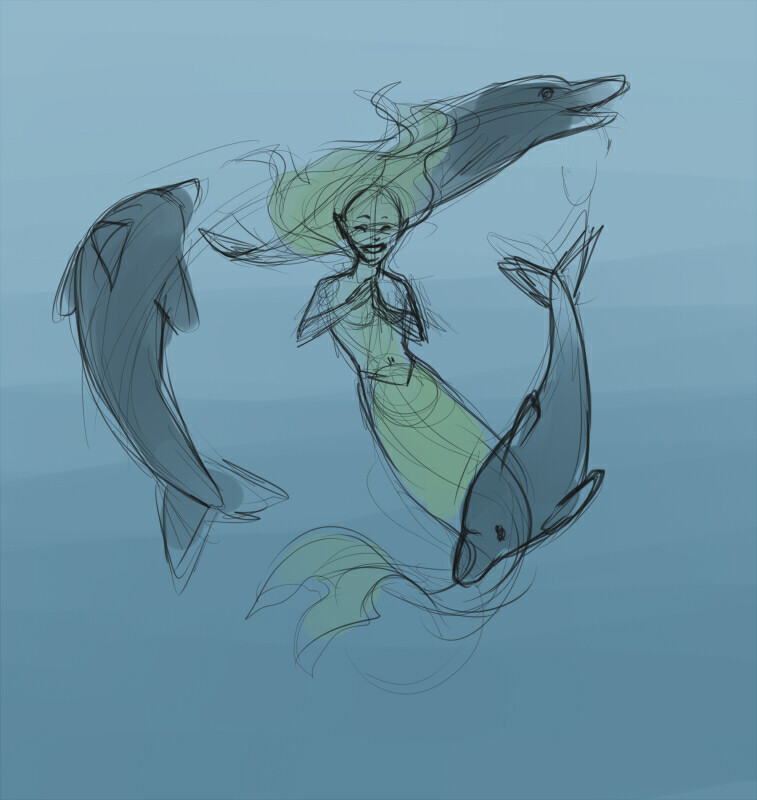 and here is the VERY rough, composition test sketch. 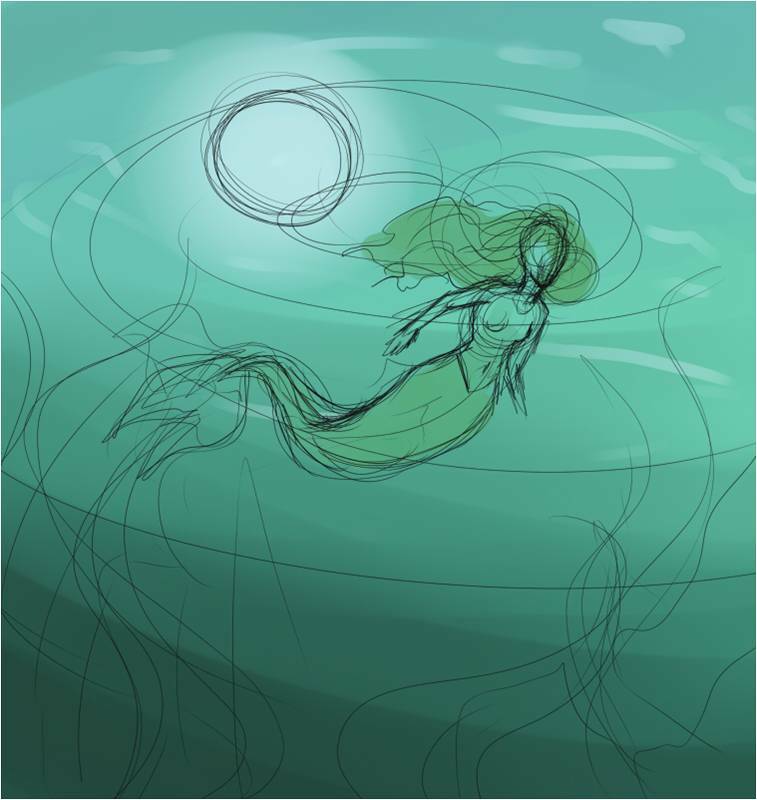 the intention was to have the mermaid looking at the rocks sticking out from the ocean surface, with the sandy beach being luminescent via the moonlight. But this changed due to feedback. 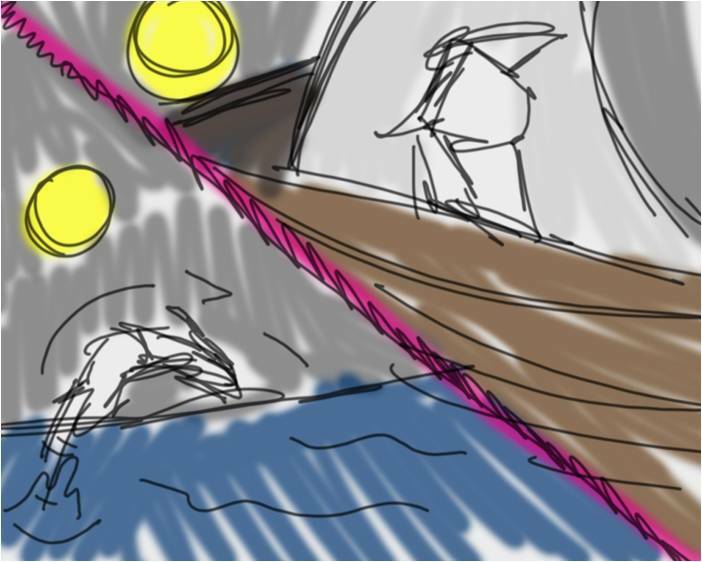 the first image is beccas compositional sketch of the new scene. and the second is me getting started on her lineart, and following on, untill the final image at the right. the scene was done but it lacked something special. it felt nondescript and didn’t really resemble Lunan bay. so I planned a redesign to create a version I was happy with. 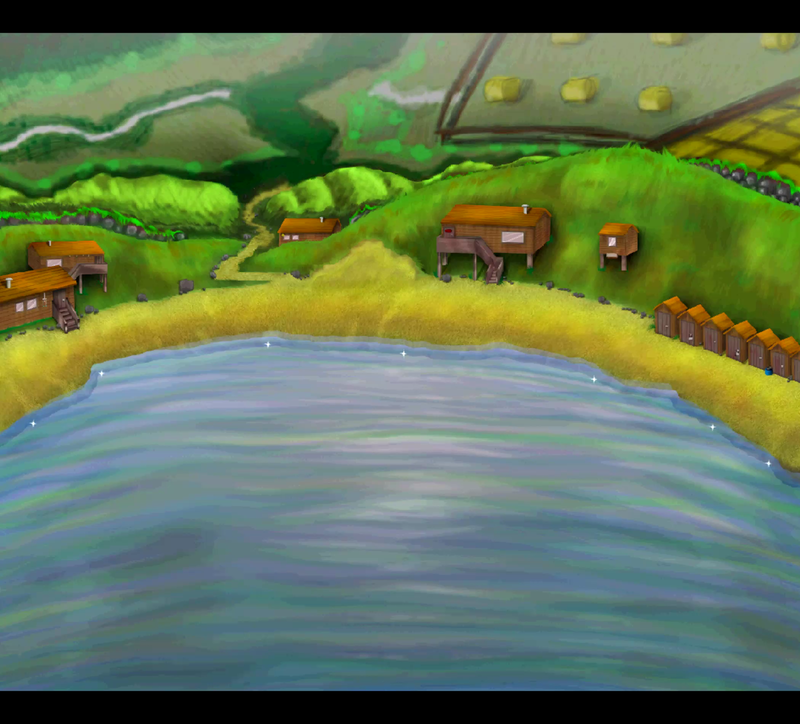 the final scene is a lot more detailed and features a lot more of lunan bays trademark features, such as the grassy hills on the side. the large rock pile, dunes in the horizon and distinguishable vanishing shoreline. drawing all of those rocks and pebbles turned out to be really laborious. the wave animation has a LOT of frames also. the small feedback for this scene was to focus more on the waves. so in otherwords, pan the camera away from the rocks, derp. and to make it look more “Romantic” so to do this i put a lot more detail into the lighting of the scene and added a gradual blue to the background to try to show distance. at the end of this post there will be two videos. some of the later feedback got implemented into the second version. like the blurry background haze. scene 3 is the first appearance of the love interest. the male sailor. here’s the chosen paragraph. •The mermaid was lonely. 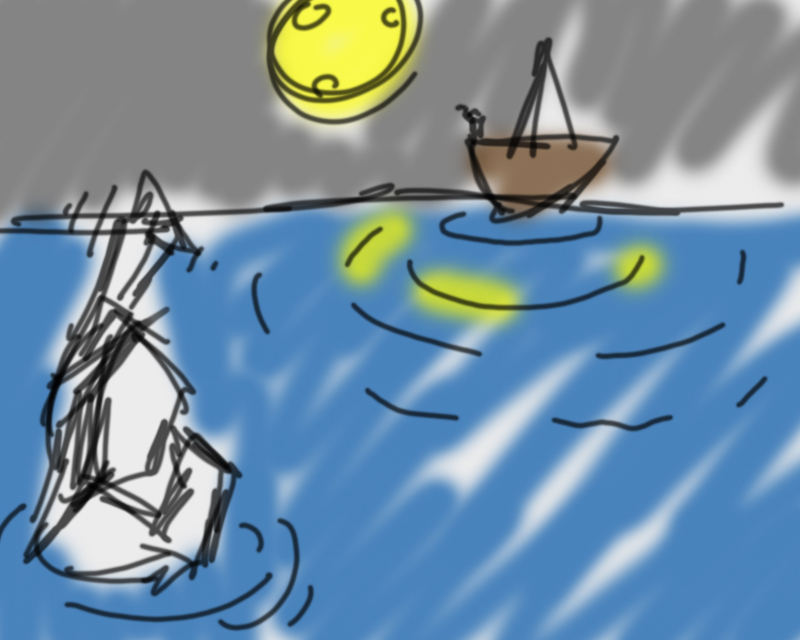 Sometimes, when the moon was just rising, a ship would pass across the horizon. The mermaid fell in love with a sailor of one of the ships that would enter and leave nearby Montrose harbour on its way to and from distant lands. 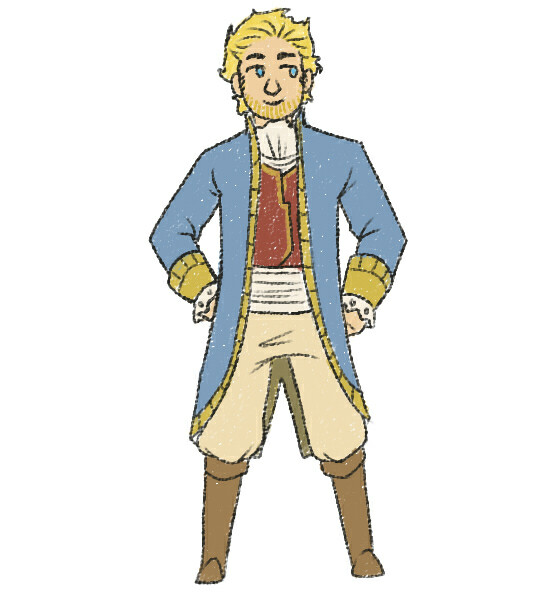 despite his face never being visible throughout the tale, we did a full design of him anyway. 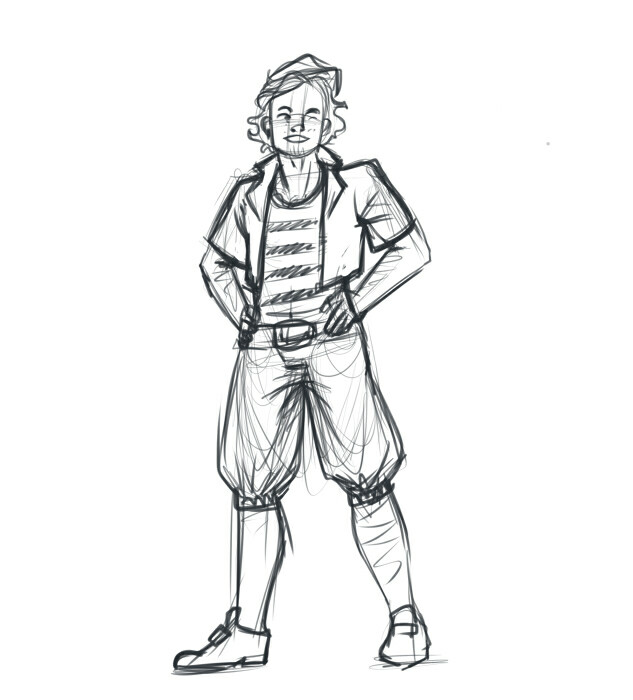 the first one is beccas interpretation of what a sailor from the early 1900 era would look like (which i forgot to mention, is when the story is set) but Davie had some very specific feedback about how he wanted him to look. the second image more reflects the changes. 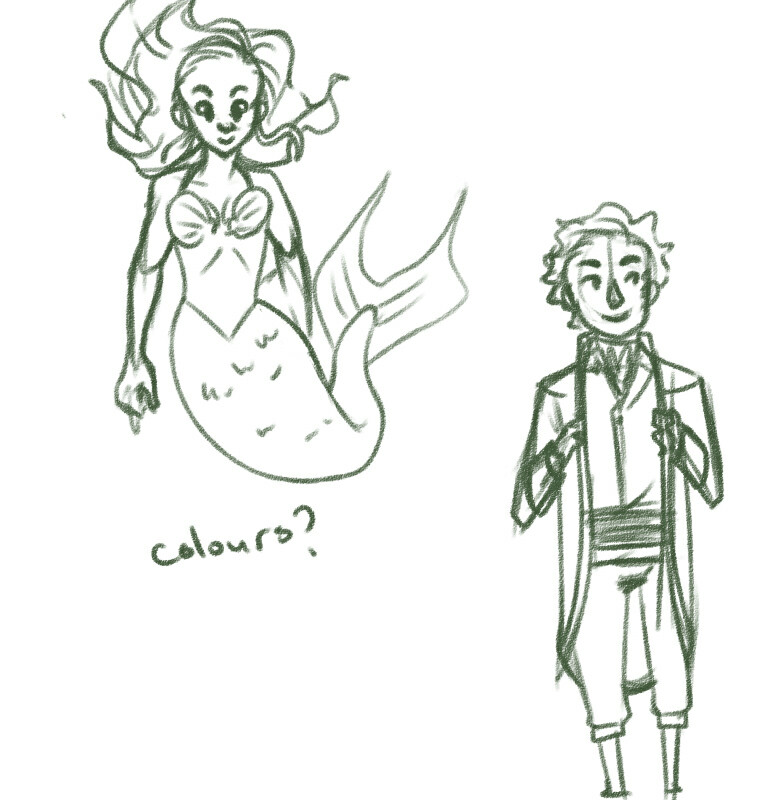 first one is my dreadful placeholder, and then beccas tidied up version. 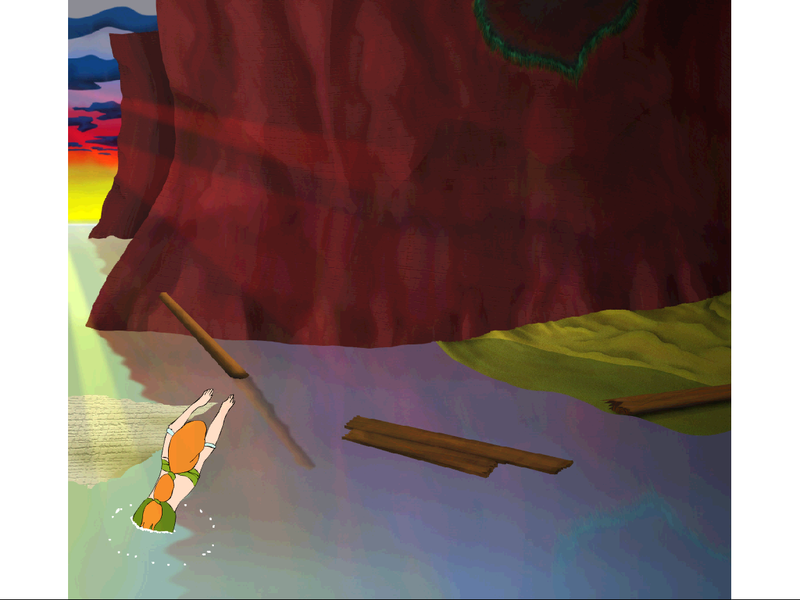 for the first version, we had the sailor in full view, as the mermaid swims alongside without him noticing. she would be represented as a dark shade in the water. and here is the coloured version. I wasnt pleased with this scene either however. same problems as the last one, this could be any kind of boat. we wanted to show a more vintage version, and just generally a more descriptive scene. you can catch a glimpse of beccas lineart here. and the final scene. 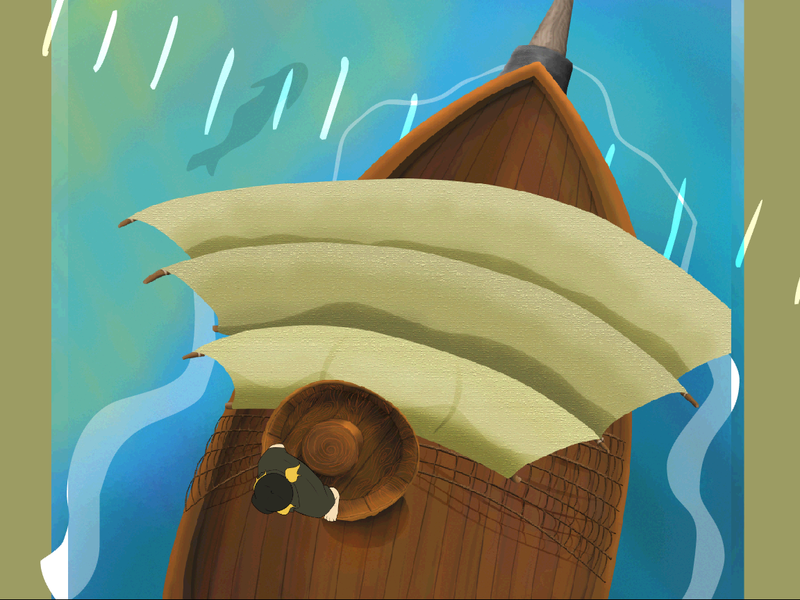 there’s a lot of energy in this scene, the water is flowing fast, the sails are blowing in the wind. the camera zooms into the sailor to show him off in the animation. 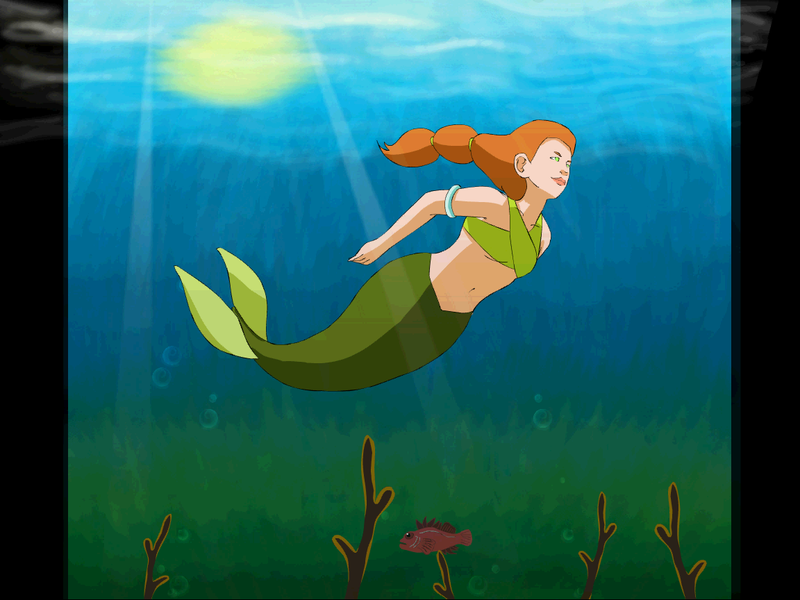 given another opportunity I feel I would have improved the mermaids swimming animation. there’s a large number of frames, but the movement is too horizontal. now onto scene 4, here is the text. •She would follow the ship until it disappeared over the horizon, and long for the blond hair and blue eyes of her sailor prince. 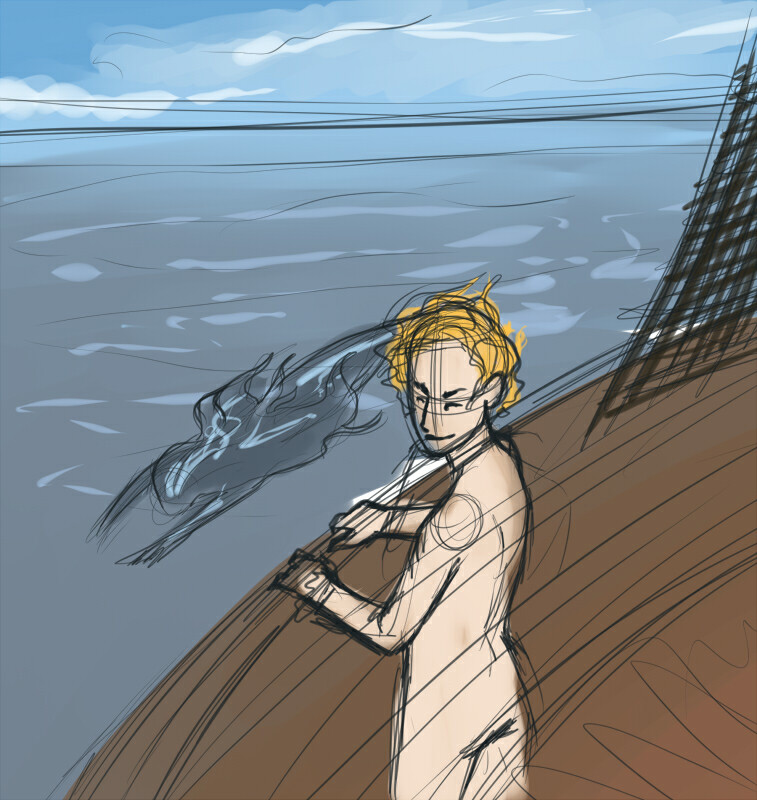 my initial idea was to have a split screen scene where the mermaid is swimming in the water following the boat perhaps. pretty rubbish and would have been a substantial amount of animation. 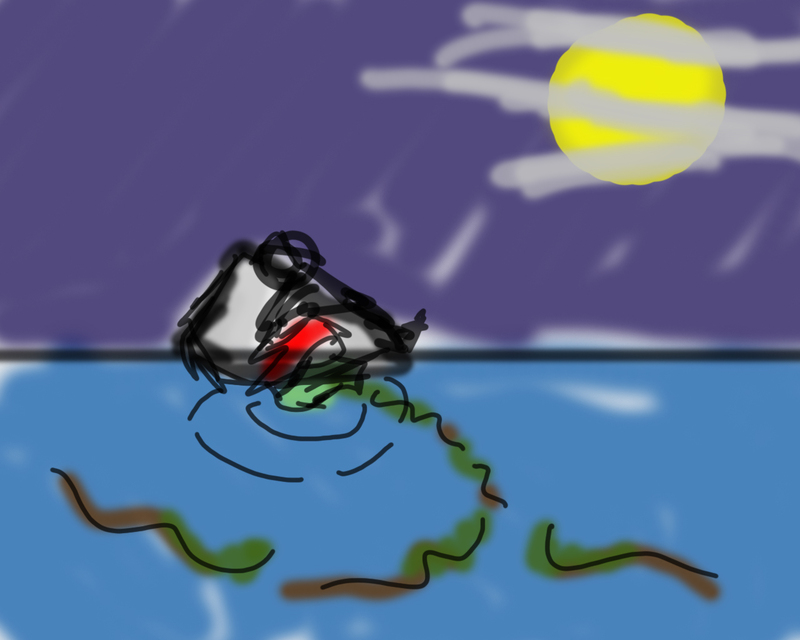 the second is a lot more still but poignant, she`s sitting in the water still, watching the boat fade from view. we iterated on this idea. with less animation, and her not waving. the scene begins to look a lot more tragic and sad. 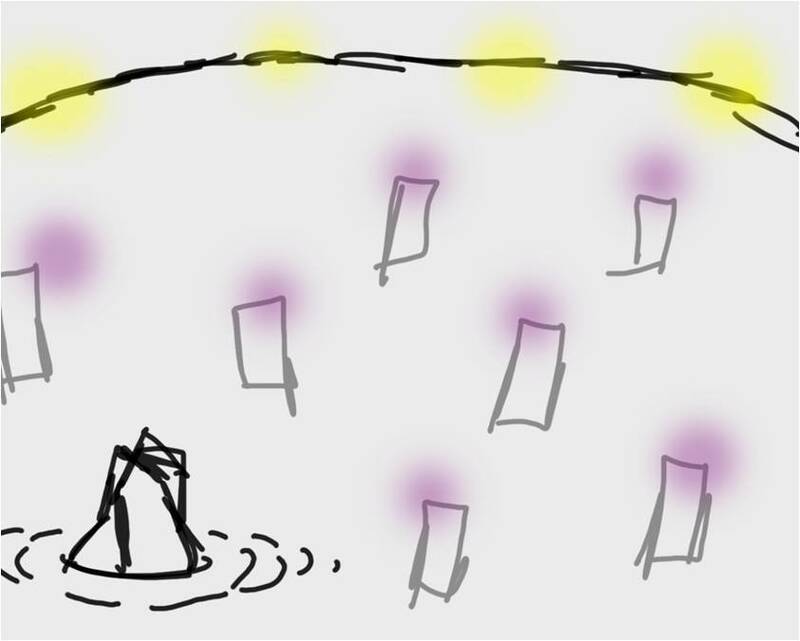 looking at the early concept art now, I feel I didn’t do the whole `fading into the moonlight` sequence justice. something seems off with the colours. oh well live and learn. and here is the final scene. 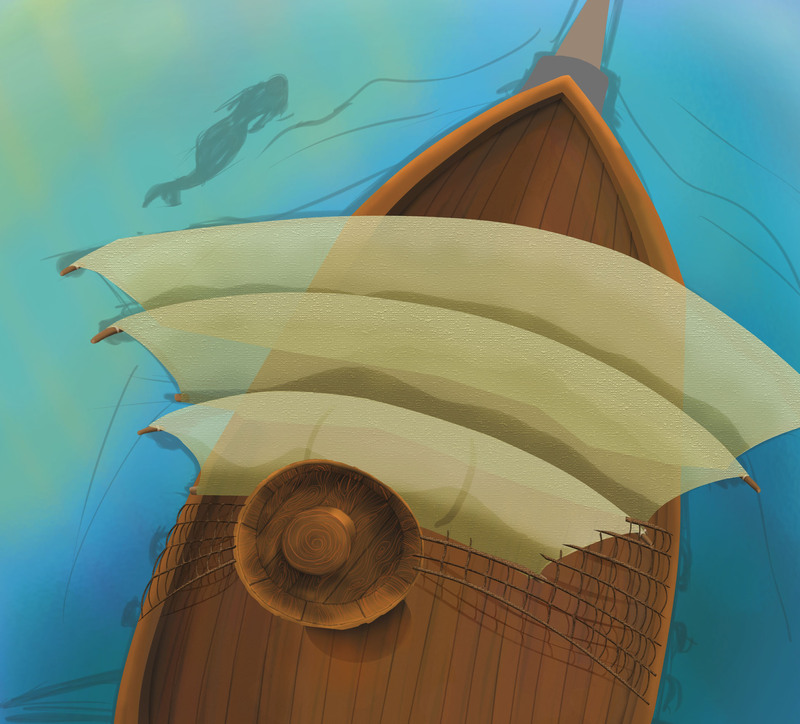 the clouds fade inwards to mask the boat, and there is ripples coming from the mermaid. quite a minimal scene. scene 5 is a tricky one. here’s the description. •She would wait for the ship arriving; (the dolphins would tell her when it was on its way), and follow it into the harbour, all the time wishing her sailor could join her. 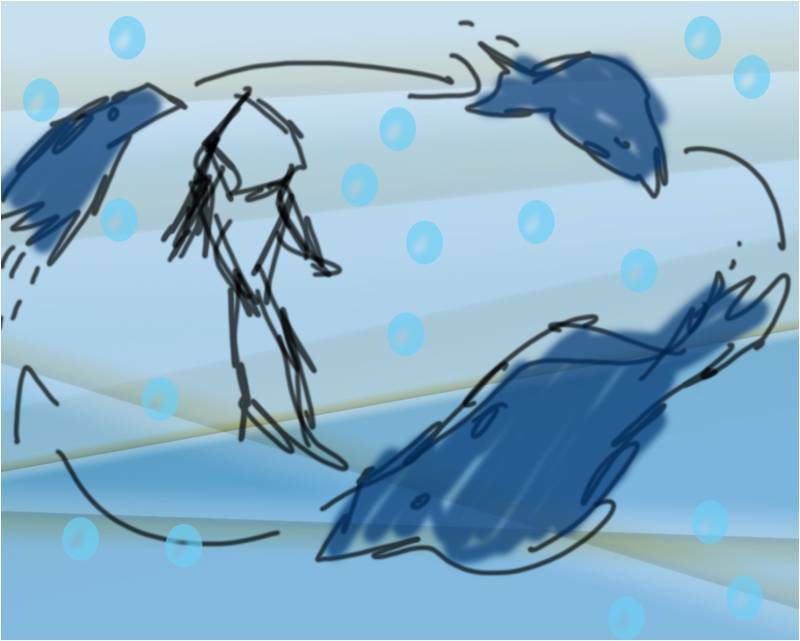 the initial concept was to have three dolphins swim around her in the water playfully, as dolphins communicate by dancing/swimming. this scene is kind of similar to the first one in composition, so i planned on doing it a whole lot better. 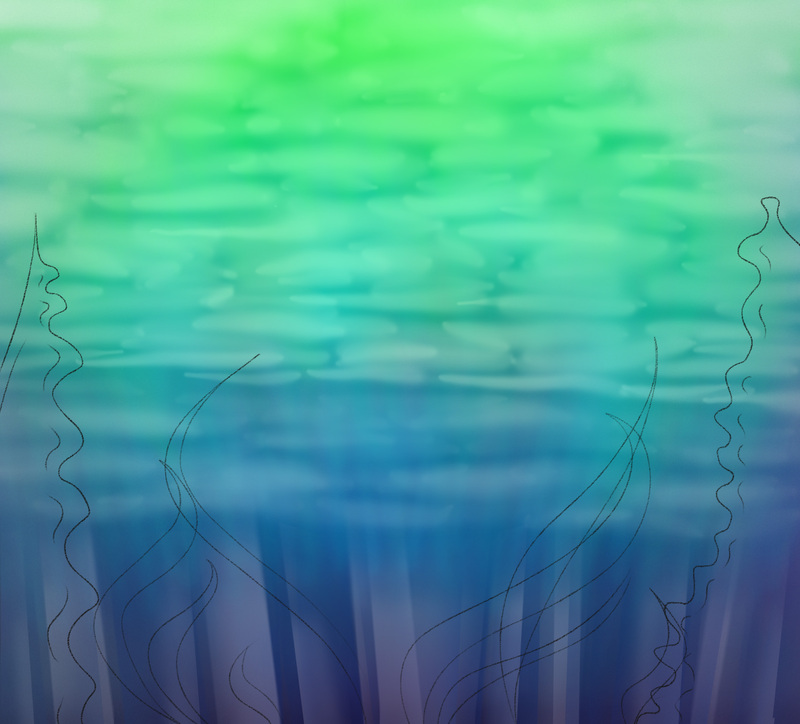 the seaweed has a lot more form, and the background has more gradient and detail. it`s a very colourful,playful, happy scene. which serves as a contrast for scene 6. •One night when the ship was leaving on a high tide a huge storm arose. 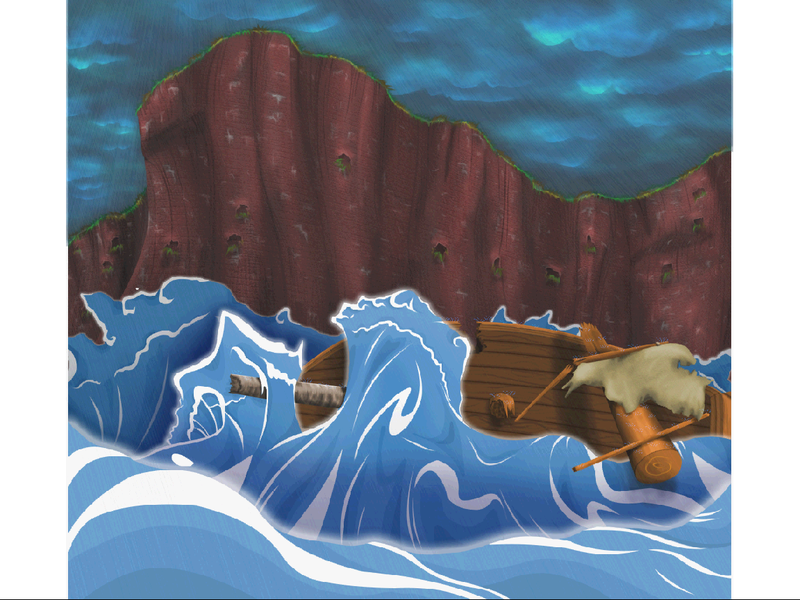 The ship was driven against the high cliffs of Red Head. It turned over and disappeared below great waves. we iterated for a while to obtain the best angle for showing the boats destruction. 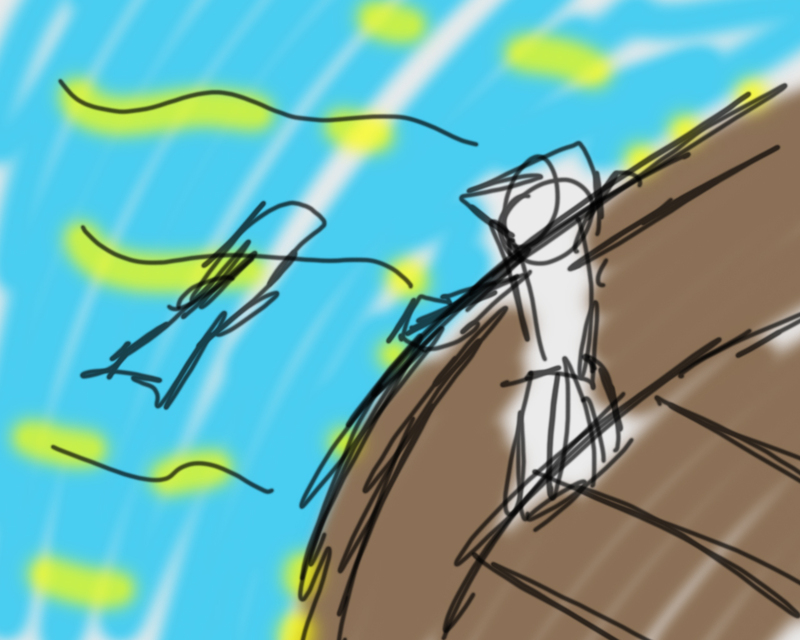 we debated for a while whetever to show the sailor jumping off the boat in the sequence. but that was far too graphic. 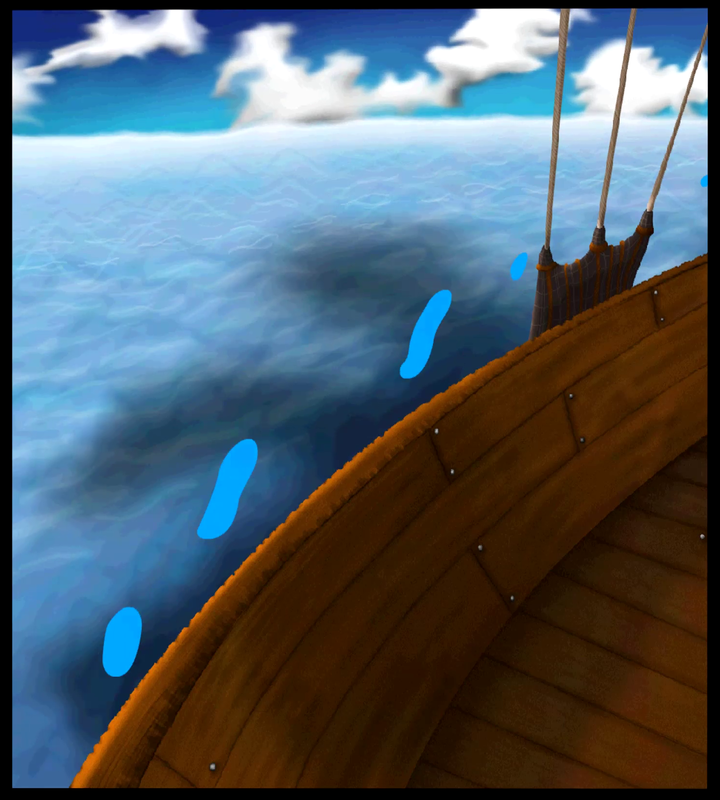 the cliffs in real life are actually gigantic, so it was tricky to find an angle which showed up the thunderstorm in the sky, the cliffs and the boat crashing at a detailed scale. but I think we got the perfect compromise thanks to beccas lineart. the scene has a (I feel) creepy, supernatural vibe to it. the waves are static, but droplets of water bleed off from them and vanish in the atmosphere. I put a lot of attention into the lightning also, there’s about 5 layers of distance, and each one lights up separately when lightning strikes and fades off at different rates. 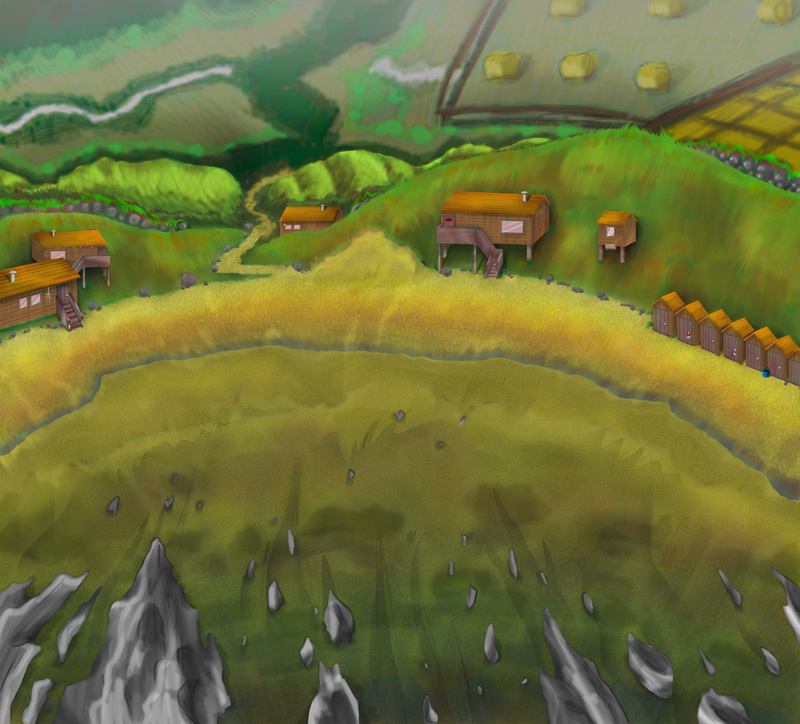 the only change requested was to adjust the colour of the cliffs to represent them more accurately which was easy enough to do. 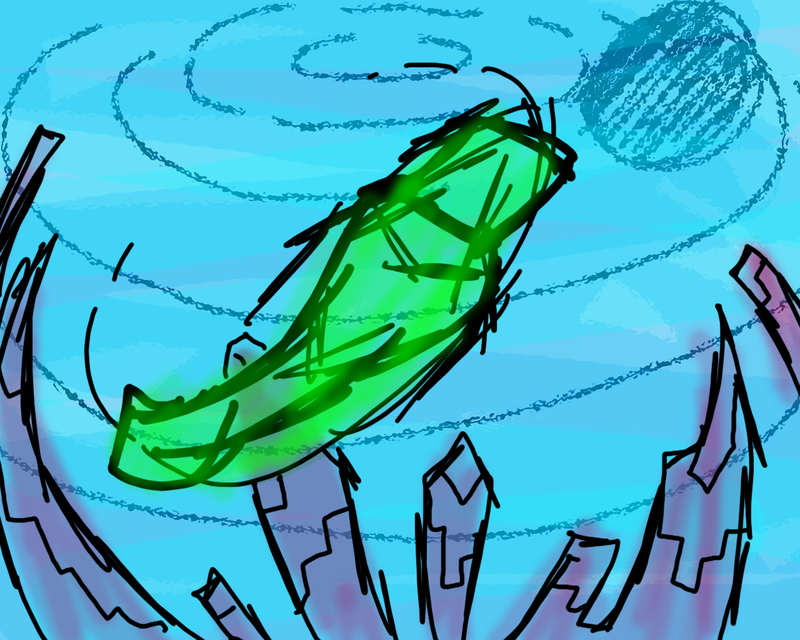 the next scene (7) is the aftermath of the storm. here’s the brief description. •The mermaid dived in and out of the sea but could not find her prince. here’s some of my composition ideas and beccas sketches. 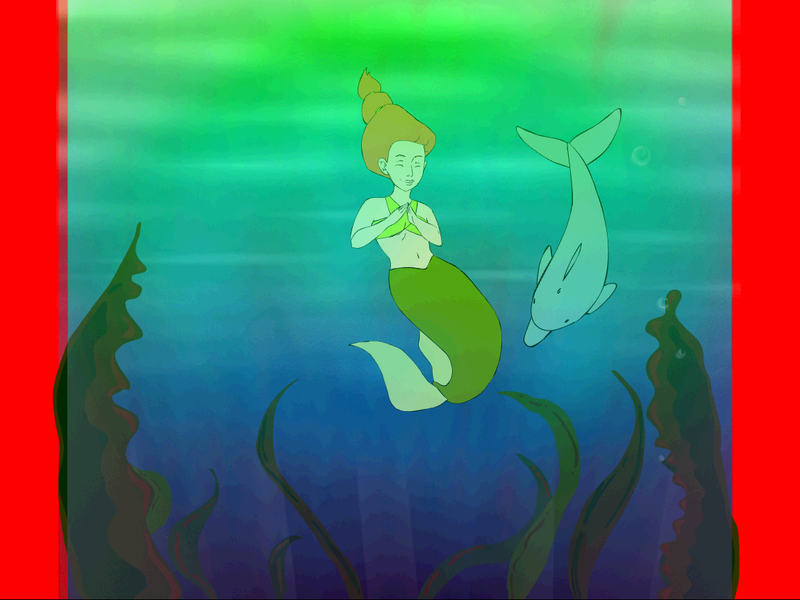 the intention for this scene was to show little wreckage, and the mermaid diving in and out the water at various locations (indicated by the green circles) this was probably the most difficult scene to animate as the diving motion was very tricky to draw. 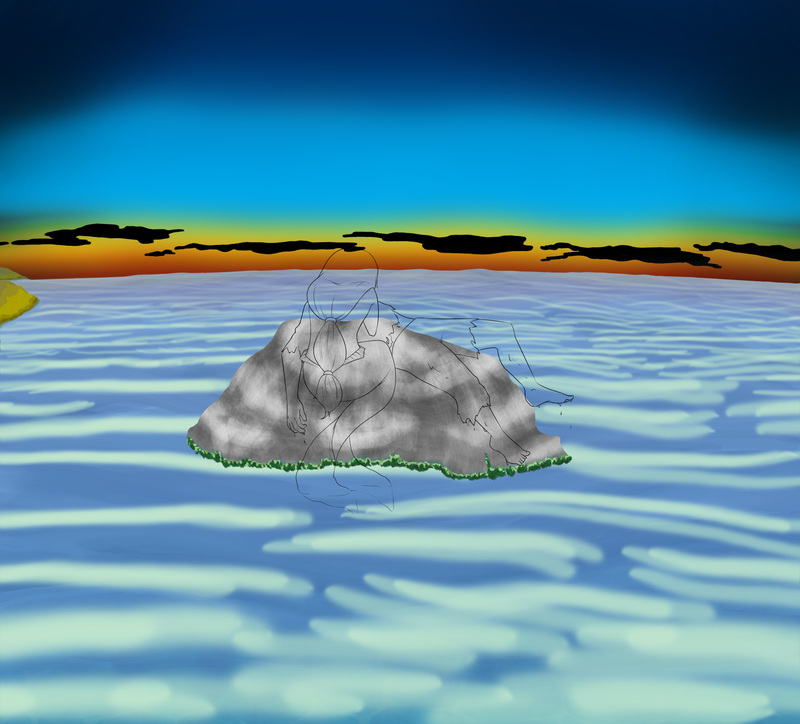 the first version, managed to miss a weird clipping section with the cliff. fixed here. changed the lighting to reflect the mood also. •In the morning the storm had gone, and all was still. 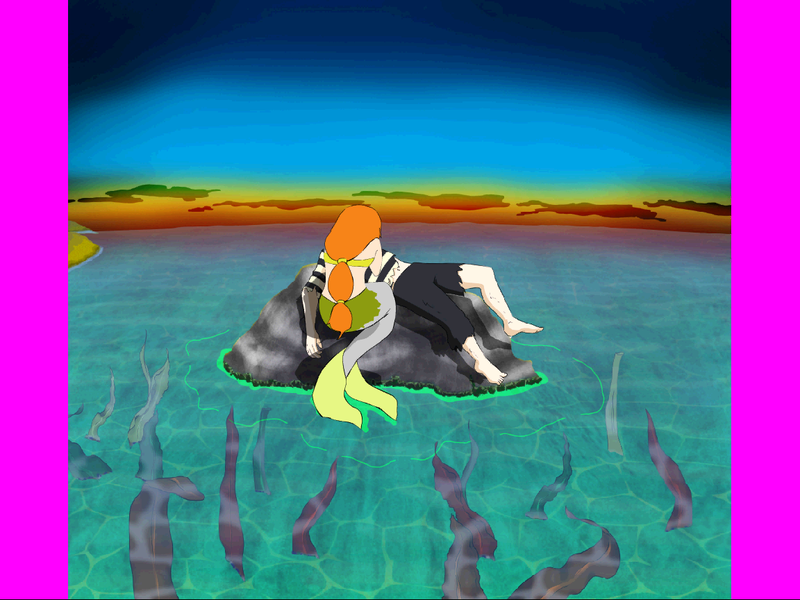 The mermaid found her prince drowned on a rock covered in seaweed. She cried and cried and cried. Her tears ran down her body and down the green skin of her tail, so many, that the colour was washed out and the brown seaweed turned green. this was the base image. if you can decipher this mush, it`s meant to show the mermaid sitting on a rock with the sailor sobbing and her colour going into the water. kind of same layout as scene 2`s first version, but i was determined to do it better. the mermaid hides the sailors face, keeping his air of mystery and allure safe and sound. 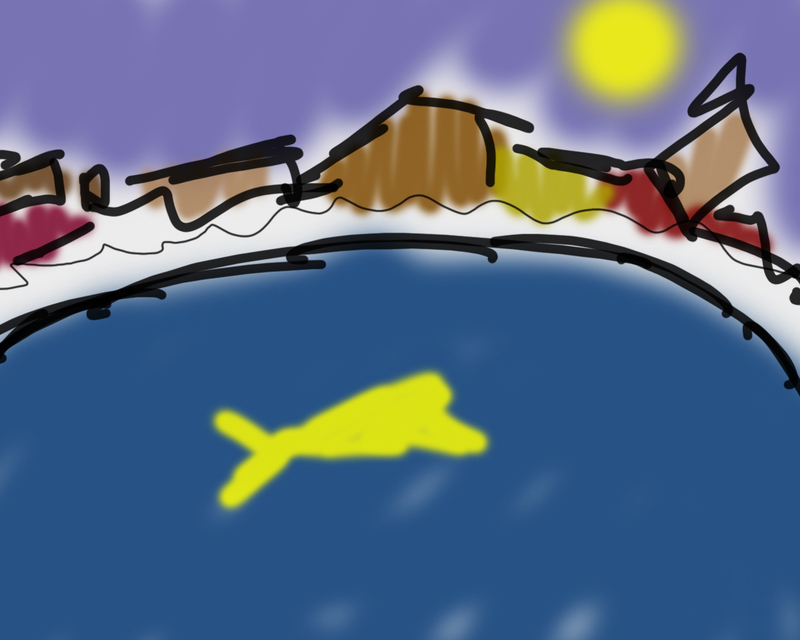 in the first version of the video, I stupidly forgot to visualise the climax of the story. her tears staining the seaweed. thankfully, it wasnt a difficult thing to implement once I got the feedback reminding me. and here’s the final version. 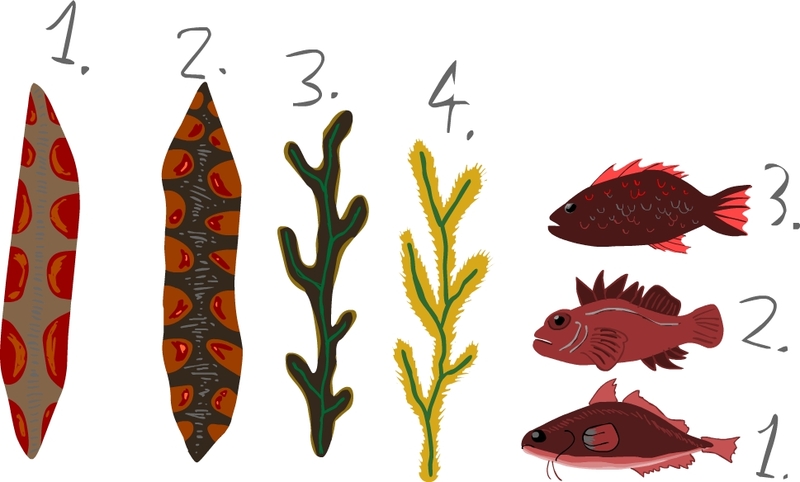 I had to leave the seaweed static because they were too detailed to animate. but I think the scene looks nice. especially the horizon and colour. the tones have a bittersweet feel. and now onto scene 9, the final one. this scene also saw quite a lot of revision. being how it was the final image, we wanted to leave it on a note of the bay. 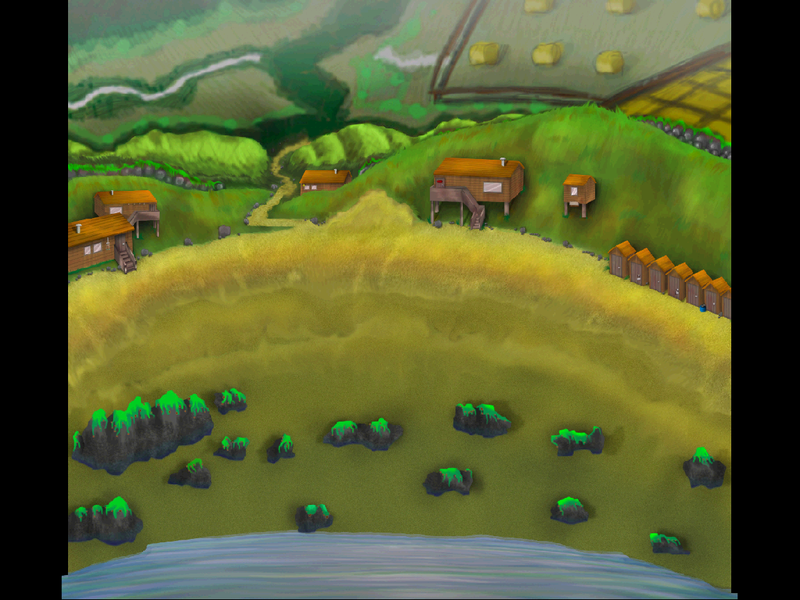 so a view of the huts and the fields in the distance. as shown by this extremely rough draft. the mermaids shape was originally going to be reflected in the bay via moonlight. but I decided against this, as this gimmick had been done one too many times already. the first draft of the final scene simply had the waves splashing in and out, with little starry twinkles at the shoreline. however, the feedback indicated that we needed to show the rocks on the beach with the green trademark seaweed, so I got to work on revising it. the first redraw I did,I was very pleased with. so I sent it over to becca to take over. I was having a hard time with it because the previous version was so very nice, despite not being to the clients request. and I do feel her coral was far superior. here it is without seaweed draped over it. and here’s the final version. now that the waves are gone theres sadly no animation in it. but, whatever differences are unimportant being how i`ll have both versions of the animation online. the soundtrack used is a bunch of borrowed songs from zelda,mario and final fantasy. and i used them as placeholders for what i wanted the scenes to sound like that. i never did manage to get an original soundtrack however. and the revised version davies feedback implemented.